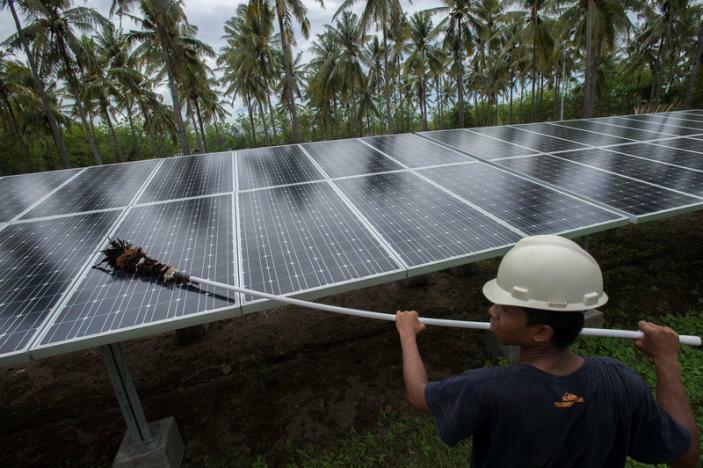 Indonesia and Vietnam both aim to construct at least 5 gigawatts (GW) of solar power capacity by 2020, up from nearly nothing now, say officials of both nations. This considerable output would provide nearly 9% of expected power generation in both countries, by the goal year. Other island or coastal countries in Southeast Asia have also made headway in integrating renewable solar power into their national energy mixes, with the Philippines achieving 500 MW of capacity, and Thailand passing 2 GW. Even smaller countries such as Malaysia are increasing their solar energy generation potential. The staggering goals come just before the official commencement of the period outlined in the UN’s Conference of Parties held in Paris (COP 21). During the talks, it was decided that the members of the assembly would commit themselves to limiting climate change-induced warming to 2°C above pre-industrial levels. Similarly, the goals also come soon after the breaching of 400 parts per million (ppm) of CO2 in our atmosphere-- often considered to be the threshold past which irreversible or grave changes begin to occur worldwide. Carbon dioxide also amplifies the atmosphere’s natural greenhouse effect, by trapping heat instead of letting it escape into space. Therefore, an increase in CO2 challenges the ultimate goal of limiting temperature increase. Yet the project doesn’t come without obstacles. Some analysts are concerned that Vietnam and Indonesia’s targets for solar generation are too lofty to be achieved in such a short time. And too, Indonesia, a country rich in coal reserves, is also regularly included in lists of the globe’s top 10 emitters despite being considerably smaller than the countries that precede it (China, US, EU, India, Russia). A EurActiv article published in May suggests that this commitment represents a slight improvement from former plans, which forecasted a mere 3.7 gigawatts (GW) of renewable power contributing to a 2019 goal of 35 GW of energy generation capacity. Moreover, the majority of new generation-- including the intended 200 MW enlargement of pre-existing coal-fired power plant Tanjung Jati B-- will serve as a large-scale outlet for the nation’s coal industry. This shirks remote communities on other islands surrounding Java, where electricity is unreliable or nonexistent. Tanjung Jati B, along with the some 2,440 other new power stations currently planned worldwide, would result in four times the amount of emissions necessary to limit warming to 2°C. Like many countries grappling with COP21 benchmarks and limited resources, these southeast Asian islands are more likely to adopt cleaner methods of energy generation if provided with the investment to do so. Fortunately, companies like France’s Engie, South Korea’s Shinsung Solar Energy and Hanwha Q Cells Korea Corp, and CMX Renewable Energy Inc. of Canada are expected to contribute. Indonesia, Thailand and Vietnam is also establishing feed-in-tariffs (FIT), ensuring fixed prices for the initial period of renewable energy generation.